Do you know how to bicker with skill? 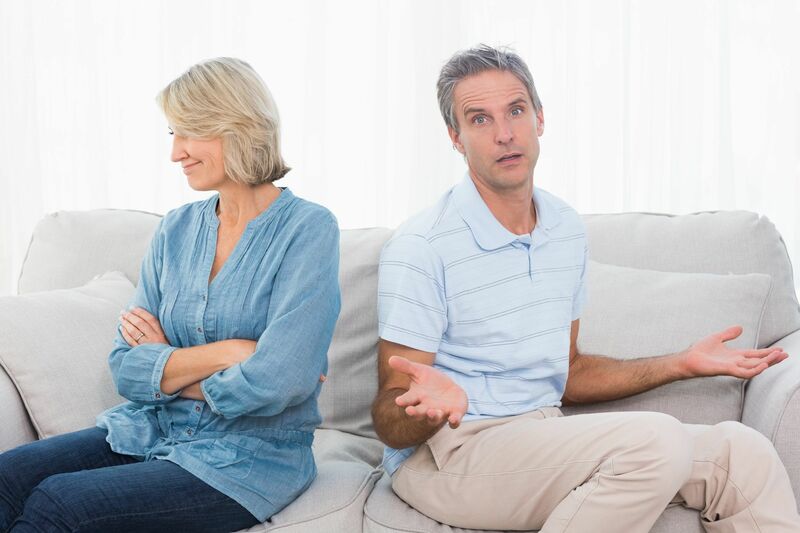 With all this science-based couples therapy floating around, good marital bickering is becoming a lost art. That’s really unfortunate because if you can’t learn to bicker with skill, you’re gonna lose more arguments in the long run. And who wants to be a loser? Here are some essential tips for how you can learn to bicker with skill and rule the roost once and for all! Be Vague and Unclear in Your Communication. To guarantee effective miscommunication, send ambiguous messages to your partner. Keep them guessing about what is really bothering you. If they ask just say “nothing.” You’ll see just how quickly they give up on you. If they really cared they’d just read your mind. But they’re way too selfish to even bother. So why tell them? Avoid the Near Occasion of Clarity. A good technique to avoid clarity is to stop paraphrasing what you’ve just heard your partner say. Paraphrasing is a waste of time. You already know damn well what they meant. Their insincere request to slow down the conversation for clarity is just an excuse for them to buy time to make a stronger argument. Don’t fall for this ploy. When You Disagree…Pile On The Resentments! James Taylor had it right…“I’m a steamroller baby…I’m gonna roll all over you! “Kitchen Sinking” is an effective way to let your partner know all the resentments you have been carefully storing up. Let it rip. Hammer them with one thing after another. I mean if you’re gonna go through all the trouble to bicker…why not get it all out at once? Don’t Ask for What You Want. They already know, and they have no intention of giving it to you anyway. Validation is for Parking… Not For Partners. One of the main ways to really bicker with skill is to escalate the argument into a knock-down drag-out fight. Let frustration build. If you’re feeling unheard…why waste your time listening? When they are asking you to look at things from their point of view, they’re just trying to win the argument. Don’t buy the “can’t you see this from my point of view?” crap. Remember if they win…you lose. And you don’t want to lose… do you? Being Calm and Polite is for Chumps. If things get hot, it means they’re running out of things to say and victory is within reach! To bicker with skill is to be loud and proud! Sooner or later they’ll see who’s right, and we both know it’s you! Use sarcasm to get under their skin. Someone has to win this fight. Make sure it’s you! Go Silent and Stonewall. Men stonewall naturally for a reason. It’s the right thing to do. If things get hot, don’t ask for a time-out. Just ignore everything. It’s fun to watch your partner sputter and rage, isn’t it? And you can just hang back and be cool-hand Luke. Keep Screaming. When your partner stonewalls…ratchet up the volume. Give them something they can’t ignore. Carpe Diem. The ancient Romans said it best. “Seize the Day!” If you want to really bicker with skill, you need to start having fights about nothing. Why Bickering is Worth it! Your marriage has a backdrop, a subtext, like a kitchen sink filling up with the dirty dishes of resentments and hurt feelings. And your kitchen sink is overflowing now isn’t it? And you don’t forget those dirty dishes… no siree! It’s little things trigger you, and remind you of this unresolved hurt and resentment. And because, being human, you and your partner tend to remember negative and unfinished emotional experiences more vividly than positive ones, an attachment injury, or a betrayal tends to leave you both stuck. If you can bicker with skill, especially about nothing in particular, you can really chase your tail and get the exhilarating feeling that maybe you’re actually getting somewhere. You’re not of course…but why should you have to be the one to point that out?